This post is the second in a 4-part series on trends in interactive media for ecommerce. We explore how the high street can use QR, AR and NFC technology to complement, share and inform their online channels. This second post will focus on AR codes, and how they can be used in the world of ecommerce. If you'd like to start from the beginning, click here. Many people will have heard of QR codes, those little black and white squares that make you feel like you forgot to put your glasses on before inspecting them. However, what most people havent yet experienced are AR, or Augmented Reality, codes. They are basically an answer to the aesthetic and interactive limits of QR codes. Augmented reality codes allow you to bring printed pages to life, to imagine 3D furniture in your room or experience audio that is only available in certain urban locations. While trend-watching marketers argue over which interactive media will dominate the market in the next few years, the ability for AR to connect off and online commerce makes it a very appealing contender to both consumers and retailers. Whats the Story with AR? Lets start with a definition: AR codes allow for digital sensory data to be layered onto real life through the use of apps on Smartphones. AR codes are meant to enhance your perception of reality, whether with visuals, audio, 3D images and other graphics. The technology has been around since about 2008, and has seen a steady rise in usage, especially in Smartphone-populated countries like Japan and the US. About five million people worldwide are already using AR apps, and interacting with AR-enabled advertising campaigns. Reports have estimated that due to ARs reliance on an expanding Smartphone consumer base, AR app purchases could increase to $1.5 billion by 2015. How Can AR Codes Be Used in Ecommerce? 1) Forever21 has a new Fall 2013 campaign in the US that features AR codes in their catalogue and shop front windows. 2) IKEA is launching a new catalogue for 2014 that features the ability to imagine IKEA furniture around your home. 3) MOMA, the Museum of Modern Art in NYC, used geo-located AR codes in a social experiment in 2011 using the AR app Layar. Although this campaign is a bit older, it still serves as an original and exciting example of what can be done using AR codes and a bit of creativity. 1) Layar is based in the Netherlands and is the current leader in AR platforms, claiming 55,000 publishing and advertising customers already. They also just launched a new blog that is well worth reading for inspirational campaign ideas. 2) Blippar is a UK-based company that have coined the term blip/blipping to help with consumer recognition and to add value to the AR experience. Although their app has been used mainly for augmenting printed ads in magazines, on posters, etc., it is expanding its usage to music and other industries. 3) Onvert is a UK-based marketing platform paired with Metaios mobile SDK that works for AR, QR codes and parallax 3D. They have helped create some pretty impressive AR/QR campaigns, including a Steampunk T-shirt that shows an open human chest with mechanical parts pulsing inside. AR codes have excited many a trend-watcher and cool-hunting marketer but the reach is still limited as of this year, and companies still need to get more content out there for consumers to interact with. While the various pros and cons of using AR codes versus other types of interactive media like QR and NFC is the topic of another post, I will say that AR is gaining traction amongst both consumers and companies and will continue to rise in 2014. 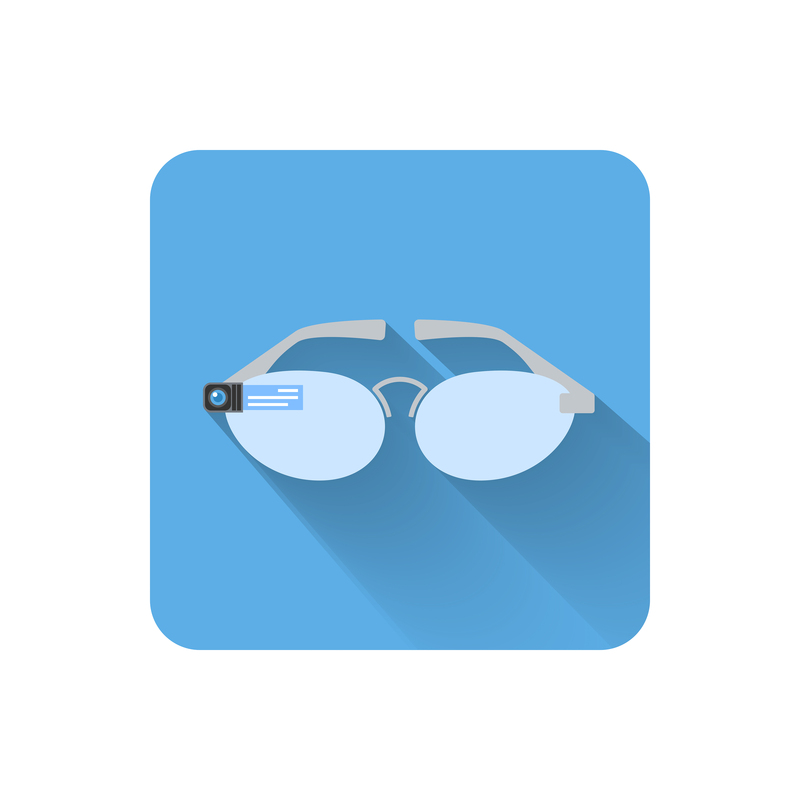 Google glasses will create an obvious push for AR codes by providing the ideal operating system for apps, and making it less socially awkward to walk around with a phone in front of you. Another possible aid in the popularisation of AR are bionic contact lenses, which are not far off from the consumer and may become an integral part of AR and other interactive media technologies. Only the future will know which technology will win the race to bridge on and offline consumer behaviour, but the forecast for AR looks promising, especially in the coming year.